The government of India has now allowed the foreign investments in multi-brand segment. The World’s largest retailer Wal-Mart Stores is now keen on opening retail stores in India. At present the company operates50:50 joint venture with the Bharti Group for wholesale cash and carry, but it said that it would have to study the policy fully and evaluate before finalizing the course of action. Raj Jain, the Wal-Mart India president said, “Of course, that’s the whole idea. We are in wholesale at present, and now that FDI in multi-brand retail is allowed, we are definitely interested in it”. Jain was talking about if the company would be interested to enter the front end retailing in India. The president added that it was too early to speak about the company’s plans for opening retail stores and possible extension of its existing partnership with Bharti Group in to front end retailing. Jain also said, “In our judgement, we have to study and understand the whole policy. We need to speak to our people and evaluate the situation and then only will take a decision on the future course of action”. 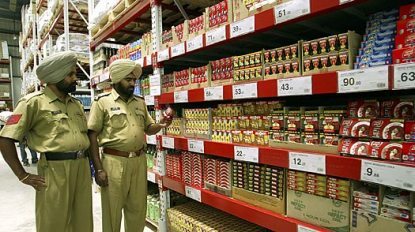 Last week the government followed a 51 percent FDI in multi-brand retail but left it to the states to permit opening of foreign funded stores.